Did you all notice just about all of the Dale supporters were chomping on gum.....even in the courtroom. 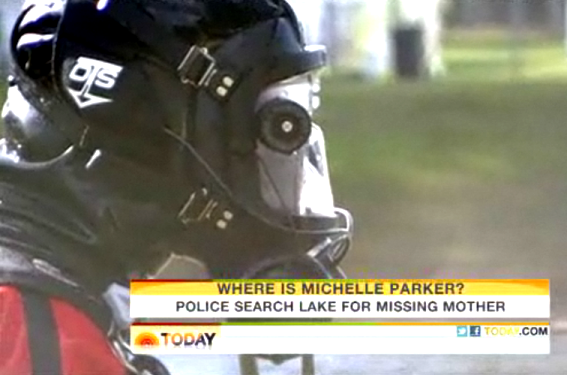 Family and friends were at a special silent auction Friday to raise money as the search for Michelle Parker continues. Parker's brother expressed disbelief at the extent of the community's support. "It's overwhelming, actually. I have so many people wanting to help out that I don't even at times know as far as what they can help me with," said Dustin Erickson. The family of missing mom Michelle Parker announced during a news conference Friday they were leaving the command center on Oak Ridge Road. Instead, they will move their efforts to the command center in Seminole County. Parker's mother Yvonne Stewart said they have decided to set up at The Barn, the nightclub in Sanford where her daughter worked. The move to the Sanford command center will begin immediately, but will likely take the entire weekend. We all know how that case turned out. I have tried to be open minded,but I am leaning toward DS doing this. What Does Death By A Thousand Cuts Mean? This buzz word is derived from the idea that a small cut will not kill you, but if you get enough of them, you could bleed to death. The term is derived from an ancient form of torture, in which the condemned person was subjected to a number of less devastating wounds over time until the accumulation of damage eventually became fatal. Just watching to raw video is interesting, Mrs, Smith, has a ghastly look on her face, towards the end, of the clip. IMO. The Press, should have asked Mrs.Smith questions, and saved their breathe, from asking the DS's, questions. started back in the Garden of Eve Men have had a lot of practice in deception, well, sorry, some men. I think Mrs. S, would have made a comment, better than the men, if the press were a little more thoughtful, and less rude. It's stated here that the angle of the camera does not show Michelle leaving Dale's condo! Does it show Dale leaving or not? Would she not leave in the same direction which she came in? I thought, and could be wrong, that MP's sister had said that MP would not use a different exit out of the neighborhood. And of course, how did this reporter gain this info on the camera angle?....LE sure isn't talking. Thanks Brandi!I posted the wrong video earlier. Can't post and look at Amazon at the same time. Was fine, I had missed yesterdays! I've wondered if a law should be in place that if a murder investigation is underway and children have been or even possibly been a witness to the murder then they should be removed from the presence of any person of interest or suspects in that investigation so as to avoid any coaching of the children, even if the suspect is a parent or family member. The length of removal from the presence of the suspect, except when closely supervised, could be given my the commisioner or judge using guidelines set by a team of children therapist and investigators used to create and provide input when creating said law. There should then be a requirement for the children to be given trauma counseling services. Even at age three babies are cognizant of stress and external circumstances and are able to remember and articulate what they know and have witnessed. I'm not suggesting kids should immediately be interviewed by LE but if they organically reveal what they have witnessed during the counseling sessions then that should be applicable to the investigation. Additionally all sessions should be videotaped so as to dissuade leading questions in the sessions. This law would serve twofold, one to protect the children from any coaching or pressure from the suspect/s and the other to offer them an opportunity to express their inner emotional disturbances and concerns in a supportive and healthy environment. Perhaps having such a law in place would prevent a parent from murdering another parent with the motive of having full custody of the children if they know they will NOT have custody of the children because of such a law should they be considered a person of interest. I read on JP (yesterday) that he has a girlfriend. I will call it speculation, since, I do not have any conclusive evidence if he does have a girlfriend, prob, several, since he likes people looking at him. This leads me to wonder if he had a girlfriend, at his Condo, when the kiddies were dropped-off. silly, as it sounds, that is how a suspect was caught on his series.